Most of the popular Irish whiskeys consumed in the United States are a blend of whiskeys made from malted barley, un-malted barley, and corn. 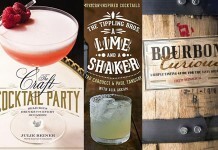 These whiskeys are produced using both pot and column stills, often aged in ex-bourbon barrels, and then released without an age statement. 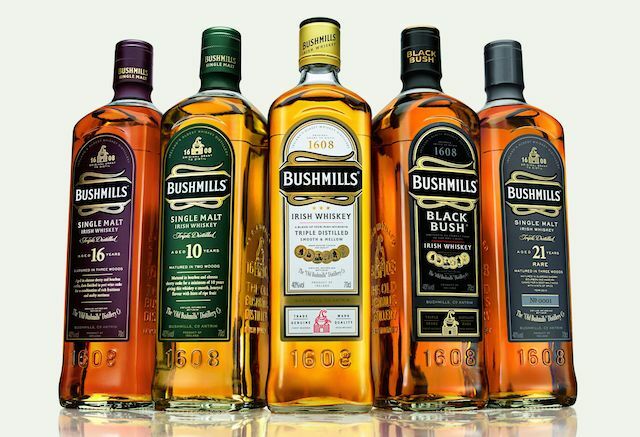 In these blends, the youngest whiskey can be as young as three years old (the minimum age for an Irish whiskey), and are often not much older than six years. 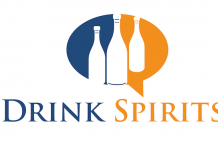 “Single Pot Still” Irish Whiskey is another growing category of Irish Whiskey. 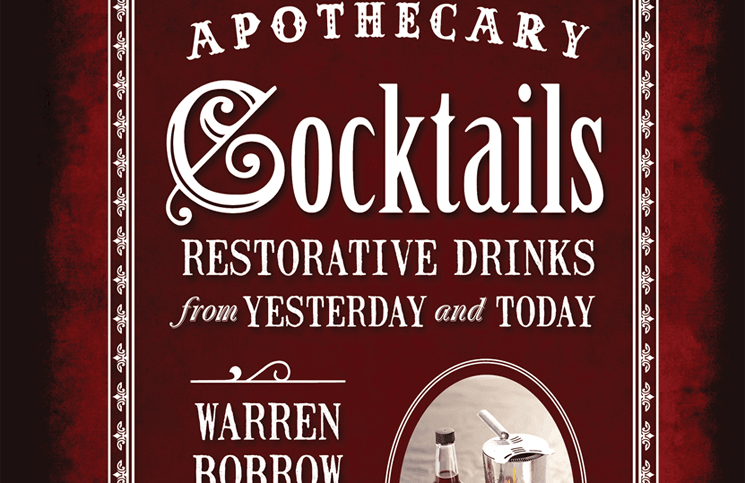 The term “single pot still” doesn’t mean that a spirit was distilled once; instead, it refers to the fact that all the whiskey was produced using the same copper pot still in a single distillery. Single Pot Still Irish whiskey is typically distilled three times. 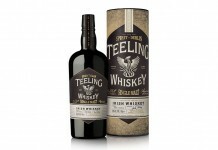 Finally, there’s the third major style of Irish Whiskey, the Single Malt Irish Whiskey. 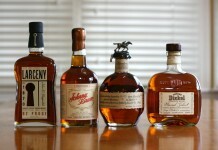 This style of whiskey is similar to the Scotch style of single malt whisky, with a few notable exceptions: Irish Single Malt Whiskey is often distilled three times, it’s distilled in Irish pot stills which emphasize different characteristics and flavors of the malt, and it is often distilled to a higher proof than Scotch single malts. Knappogue Castle 12 Year Old Single Malt Irish Whiskey (40% ABV / 80 Proof, $42) – Knappogue Castle, from Castle Brands, is known for producing single malt Irish whiskeys and is one of the few Irish whiskey producers to have age statements on most of their products. The Knappogue Castle 12 year is made exclusively from un-peated malted barley and aged in ex-bourbon casks for twelve years. Bright gold in color, Knappogue Castle 12 has a light and sweet nose with honey, toasted malt, milk chocolate, and maple-covered Wheaties. The nose does an exceptional job of capturing the essence of malted barley with a nice level of intensity and complexity that’s often absent from many Irish whiskeys. The entry is flavorful with McIntosh apples and peaches combined with light honey and cereal grains. The cereal grains are really showcased in the midpalate where the maple-covered Wheaties from the nose is clearly on the palate. In addition to cereal grains, the midpalate has subtle milk chocolate, salted caramel, a touch of citrus, and some black pepper and oak spice. The finish continues showing the love of malt and is long and slightly dry with a light lager-like note to it. 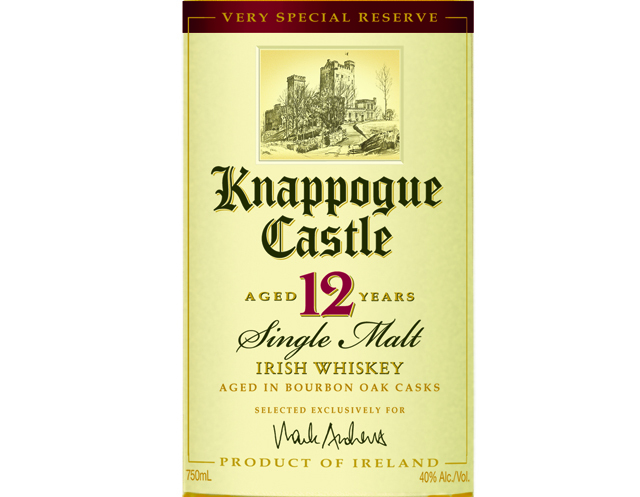 Knappogue Castle 12 Year Old Single Malt Irish Whiskey is a perfect example of a great Irish whiskey that manages to capture a great deal of flavor and complexity from the malted barley and present them in a light and affable manor. The reverence for the malt here is unmistakable and the flavors are delicious. 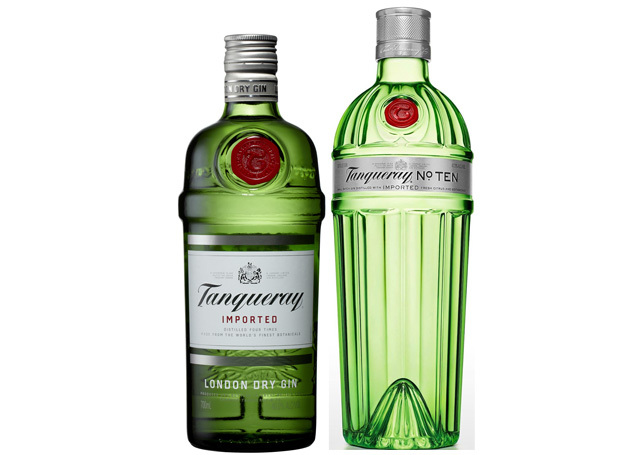 At $42 a bottle, you’re getting a solid bang for the buck and an Irish whiskey that has enough to impress even the most ardent Scotch whisky fan. 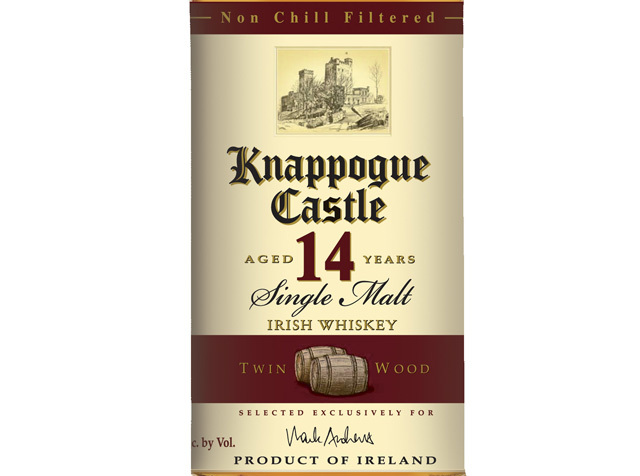 Knappogue Castle 14 Year Old Twin Wood Single Malt Irish Whiskey (46% ABV / 92 Proof, $59.99) – for this release, Knappogue Castle ages their malt in a combination of ex-bourbon and sherry casks. Unlike the 12 Year Single Malt, the 14 Year Old Twin Wood is non-chill filtered. Darker in color, the 14 year old Twin Wood shows off its time in sherry casks with a nice light amber color. The nose of the 14 year old Twin Wood also has telltale signs of sherry casks with blackberry jam, combining with some of the same malt notes that are present in the 12 year. The sherry influence is pretty dominant in the nose and so the malt becomes the co-pilot in the equation. The sherry influence is right there on the entry with blackberry jam along with toasted malt. 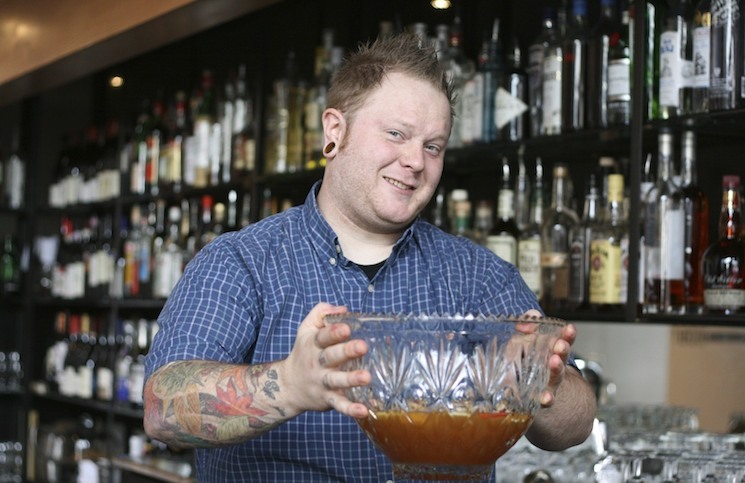 Things get spicier more quickly and just as we hit the midpalate, the spice is in full swing. 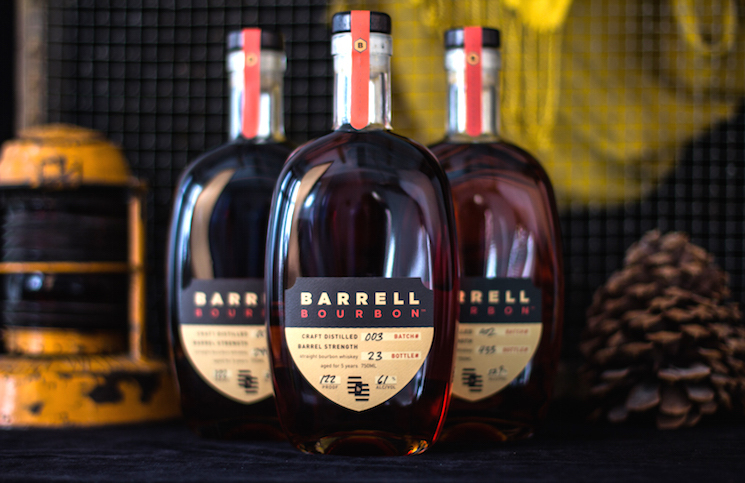 In the midpalate there’s solid black pepper and allspice combined with honeyed malt, dry maple, and salt. There’s a bit of lushness to the midpalate as the blackberry moves into a nice supporting role with the spice. 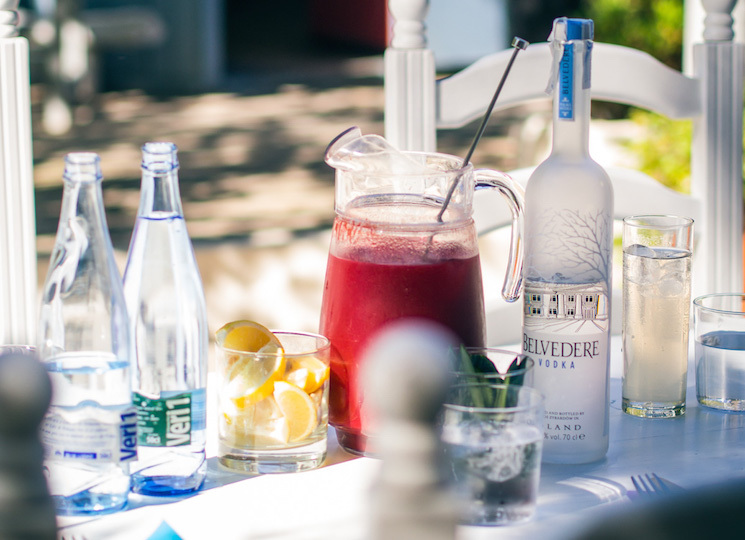 The finish is long and spicy and combines the malt, spice, and dark fruit. The sherry casks dry out the end of the finish which is markedly drier than the 12 year old whiskey. Knappogue Castle 14 Year Old Twin Wood Single Malt Irish Whiskey isn’t as malt centric as the 12 year old release and is fairly textbook about what sherry casks bring to the equation. The addition of the dark fruits and midpalate spice, the increase in ABV, and the extra time in wood help make Knappogue’s 14 year old Twin Wood a much bolder and robust Irish whiskey. 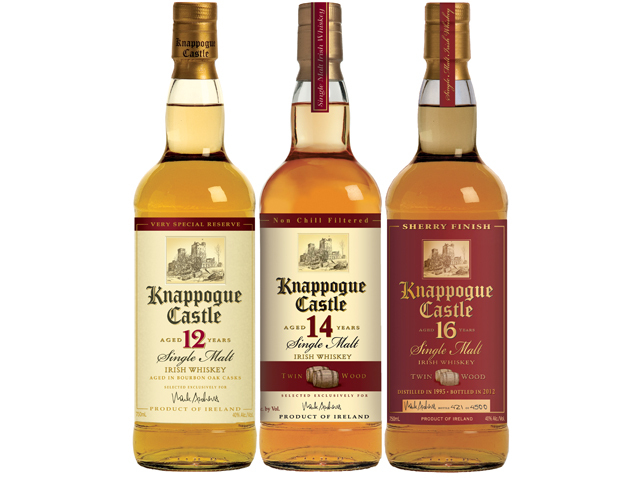 How much you’ll like the Knappogue Castle 14 Year Old Twin Wood Single Malt Irish Whiskey is extremely dependent on how much you like sherry finish. Since the base whiskey here is lighter than most Scotch style, the sherry has a lot more room to work and has a stronger impact. There’s something really special and unique about Knappogue Castle’s 12 year old single malt, and while the Twin Wood is good whiskey, it’s lacking the balance and finesse that we really enjoyed with the 12 year. 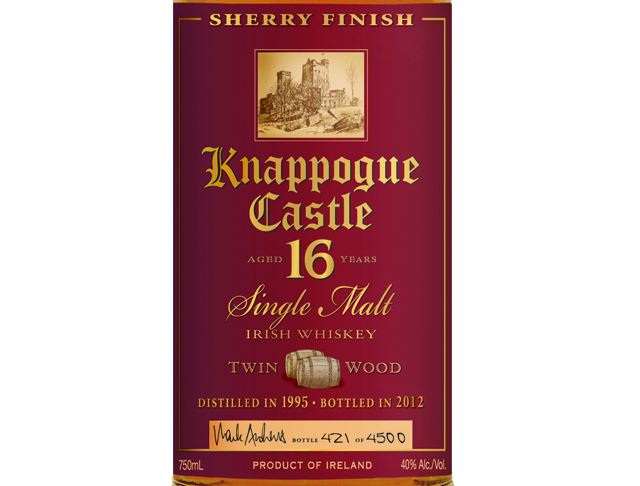 Knappogue Castle 16 Year Old Twin Wood Single Malt Irish Whiskey (40% ABV / 80 Proof, $100) – for their 16 year old release, we again have the use of two different kinds of casks. Knappogue Castle actually discloses the exact time this whiskey spends in each type of cask: 14 years in ex-bourbon barrels and 21 months in sherry casks. In addition to the breakdown of aging, Knappogue lists when this whiskey was distilled (November 1995) and when it was bottled (December 2012). 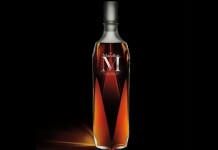 This release is also limited to only 4,500 bottles and each bottle is signed and numbered. Ironically, this release is lightly chill filtered and we’ve dropped back down to 40% ABV from the higher 46% from the 14 year old Knappogue. 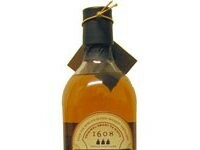 The Knappogue Castle 16 Year Old Twin Wood is dark amber/brown, much darker than the 14 year old Twin Wood. With only a couple of years between them, you’d think there would be a lot of similarities between the 14 and 16 year old Twin Woods, but they are remarkably different. While the nose on the 14 year is dark fruit and sherry focused, here there’s more of an emphasis on the lighter fruits like green apple and nectarine as well as a light nuttiness and light oak . 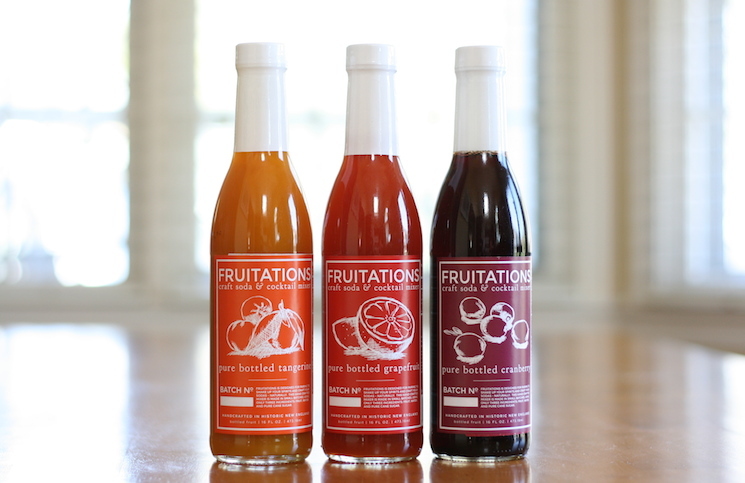 The dark fruits are there, along with the malt notes, but they are much less at the forefront. The entry for the Knappogue Castle 16 Year Old Twin Wood is also considerably lighter than the other Knappogue Castle releases, even a little delicate. From the start the sherry influence is clear, but here is much better integrated than with the 14 year old release with a lot more complexity. Blackberry intermingles with toasted malt, marzipan, and toasted oak. The midpalate is far less spicy than the 14 year old Twin Wood and a lot more balanced. The malt here is also a lot more clear as it is joined by salt, black pepper, and more toasted oak. 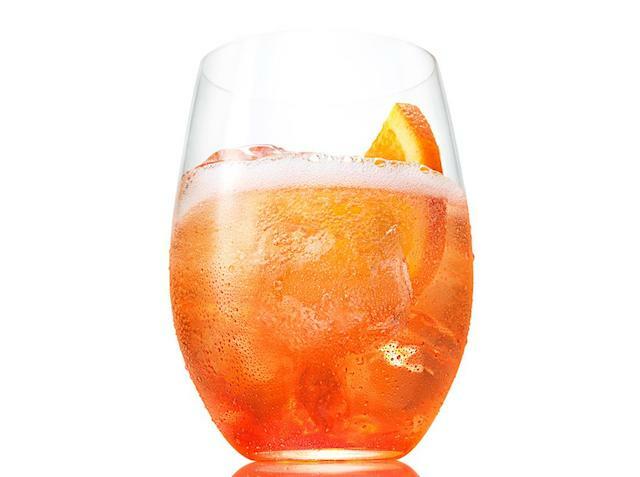 The finish is medium length and has the lighter, crisper notes from the nose including green apple, light malt, and black pepper spice. Knappogue Castle 16 Year Old Twin Wood Single Malt Irish Whiskey manages to do what the 14 year old Twin Wood doesn’t: it adds some nice influence of the sherry cask without losing its balance and malt character. With the 16 year old malt we’ve also clearly crossed a line in the maturation journey where the character of the whiskey begins to take on a much more delicate and etherial quality. While it has some of the core malt notes you’ll find in the 12 year, the character is so different that fans of one may not like the other. 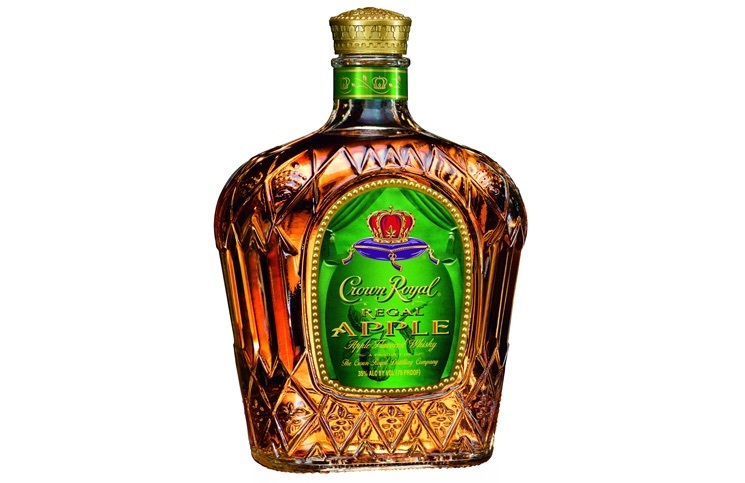 Still, it’s an excellent Irish Whiskey and another strong example of how the category can have offerings which are complex and flavorful while still being light and affable.